Five hundred meters Aperture Spherical Radio Telescope (FAST) will be completed in a few months. FAST has 4600 triangular panels, controlled by MOONS’ motors and drives, that continually adjust to create a parabola aligned with the desired sky direction. MOONS’ products are critical for this giant Telescope’s reflector system. The outstanding performance of MOONS’ stepper motors & motor drives combined with their all-weather design assures reliable, accurate, real time control for the 500 meter aperture. The FAST project is located on Pingtang county, Guizhou province. This remote outdoor application is in a mountainous area, and is a huge challenge to the motors and motor drives. This environment of temperature extremes and moisture can damage typical motors and motor drives, quickly shorten the products life, and cause operational failures. MOONS’ patented technology, exceptional customized design capacity along with its world class manufacturing capability, enable MOONS’ stepper motors and motor drives to beat the harsh environment and deliver stable, precise performance. The worldwide media has been reporting the FAST project. 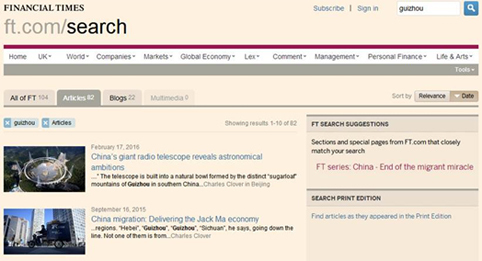 The Financial Times used the headline: “China’s giant radio telescope reveals astronomical ambitious” to report FAST project. And MOONS’ is proud to be part of this scientific achievement.